Our first full length record, Monuments, is now available on CD and digital download through SoHiTek Records. Recorded at Revolver Studios with the help of Mr. Nalin Silva, Monuments, saw its release in December of 2013. Eleven PDX Magazine / Issue No. 7, Volume 3 By “Trilithon,” the third track on Fanno Creek’s debut album, Monuments, my jaw had literally dropped. The local trio is well known on the live circuit for their effortless harmonizing and energetic acoustic rock sound, but this is worlds beyond what you’ve heard from them: expansive soundscapes, layers of instrumentation around their dual guitar & drums lineup, and most importantly hooks on top of hooks. At first I struggled to reconcile what I was hearing with what I knew of the band from their shows and earlier EPs, but ultimately just surrendered to the songs. And what songs! They present a cycle of themes both personal and cosmic in scope, from the singalong immediacy of “How Long” to the slow-burn bluesiness of “Body, Brain,” to the ethereal beauty of “Green Stones.” The range the band displays is staggering, yet the songs all work together to form a cohesive whole. It’s easy to call Monuments one of the most confident, assured debut albums from a Portland band pretty much ever. There’s nothing tentative about this music. 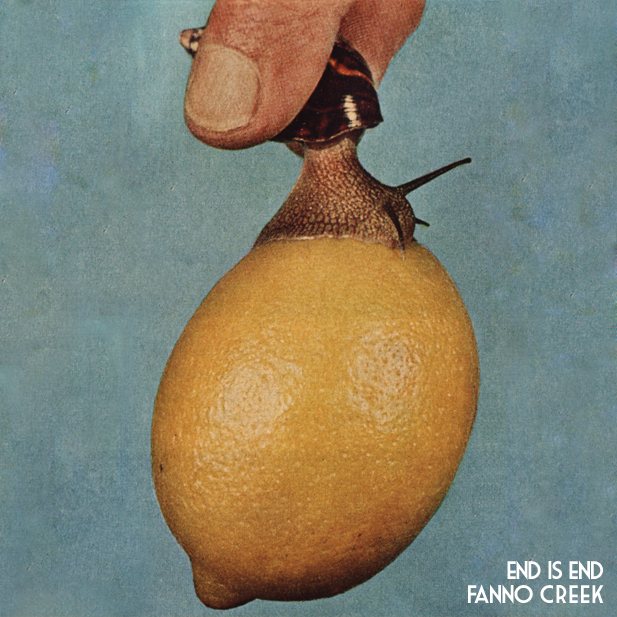 Fanno Creek has struggled with categorization; describing what they do musically has been a challenge, owing to their range. In a post-Monuments world, why not call their sound what it is? Classic rock. Not guilty pleasure/ironic classic rock either. This music would sit comfortably alongside The Hollies and Crosby, Stills, Nash & Young on any playlist. The writing is strong, the performance passionate and powerful, the production rich and nuanced, and the tracks trendless and timeless. Some months ago, a wodnerful handful of folks came out to watch us record a live album at the Banana Stand. Now, the album is finished and is available for download! You can find it HERE. Also, here’s a new video from the night. This video was recorded and edited by the awesome dudes at Collective 47. Fanno Creek – “Work/Hunting” from Banana Stand Media on Vimeo. Created by the awesome people at Banana Stand Media and Collective-47 Productions. Our new EP entitled End is End is to be released in July, 2012! Recorded by the awesome dudes over at Emigrate Records.